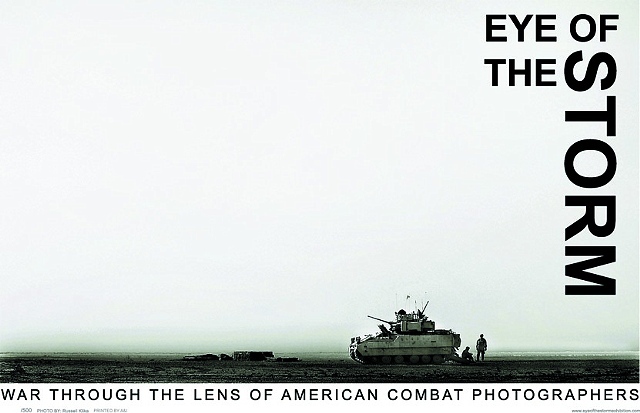 Eye of the Storm: War through the Lens of American Combat Photographers is an exhibition benefitting injured service members. The show is comprised of photographs taken by enlisted combat photographers, a perspective not often seen by the general public. Images were captured during the recent campaigns in Iraq and Afghanistan. Navy Petty Officer First Class Michael Watkins.